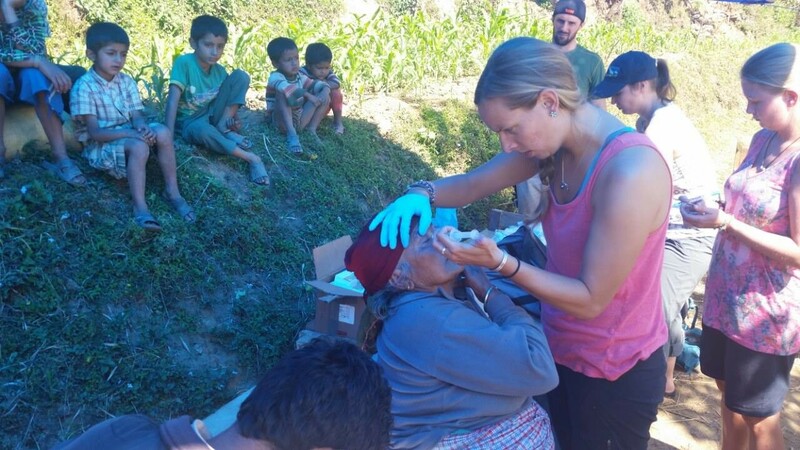 Kelsey, our team medic from Alaska, has been part of the Hearts family since she flew in to Nepal 3 days after the 2015 earthquakes. She is a member of our Board of Trustees, has been an active fundraiser and involved with various projects in and out of Nepal on behalf of the Active Hearts Foundation. 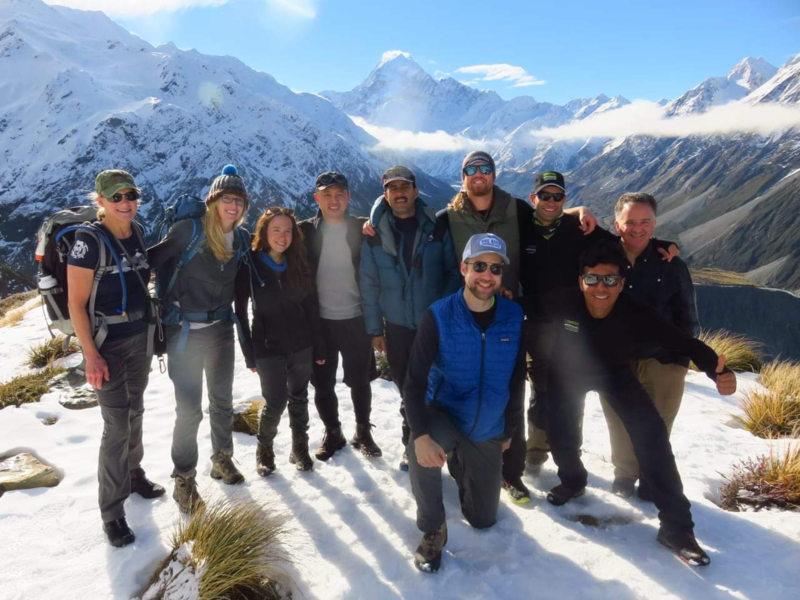 A noteable fundraising event organised by Kelsey and her parents, Carol and Hal Meyer was ‘A Taste of Nepal’ in December 2015. It was hosted by Carol and Hal at their home in Fairbanks, Alaska on a beautiful snow covered evening with about 30 guests in attendance. The fundraiser was specifically held to assist the remote Sikuri Medical Centre in acquiring new equipment. ‘A Taste of Nepal’ had delicious homemade traditional Nepali dishes to sample including dal bhat, chicken and veggie curries and chutneys. They had a silent auction, raffle and amazing performances on guitar and a silk rope by the the very talented sister & brother duo Teal and Luke. Kelsey shared the Active Hearts’ story and vision with the attendees and Dan even made an appearance from New Zealand via Skype. The evening was a hit and an incredible $2012USD was raised! The money raised on this fabulous evening went directly towards new equipment sourced by Dan and Arjun in Kathmandu for the Sikuri Medical centre. Equipment specific to pre and post natal care was prioritised. The order was placed and transported from India to Kathmandu, loaded onto an Active Hearts’ truck and driven to Sadtobate. Some of the purchases included: Fetal Heart Doppler, Nebulizer, Pulse Oximeter, Oxygen Cylinders, Flow meters and trolleys, Semi-Fowler Bed, mattress, pillows, blankets, sheets, privacy screens, baby crib and mattress, patient gowns and plastic aprons, heaters and stretchers. Subsequently Arjun’s first son, Anjun, was born happy and healthy as the first pieces of equipment arrived. Nepal used to have an infant mortality rate of almost 25% before children reach 1 year old. This has dropped drastically in recent years but unfortunately many children and mothers still suffer hardships unheard of in developed countries due to their location. Although a small drop in the ocean, the equipment given due to Kelsey and the wonderful people of Fairbanks, Alaska, will directly and indirectly benefit hundreds of mothers and infants! Thank you Kelsey, Carol and Hal! I am a registered midwife and nurse based in Franklin with a special interest in maternal health. In my spare time I enjoy travelling and have spent the last 15 years travelling extensively through many developing countries. This has opened my eyes and heart to the vast global differences in quality of life and healthcare. The Nepalese earthquake has touched my heart in the same way it did to many others. Serendipity intervened during a routine birth chat, I met Dan Keys from the Active Hearts Foundation and I was able to hear stories from Nepal directly. This chance meeting was the catalyst to spur me into putting in place a long held yearning to be actively involved in helping in these communities and using my professional skills and personal compassion to make a real difference. I funded my own airfares to Nepal and gave a month of my time to help in the village of Gogane and the surrounding areas. I also raised funds to work alongside the Active Hearts Foundation to finish building a library for the children, re-build the schools, re-build the paths so that the children can get to school and help set up a health clinic. Carol raised an amazing $4560 from 41 generous donors! Thank you Carol for your hard work fundraising and on the ground with us in Nepal. We were very privileged to have your expertise and energy on the team! Including Kath Wicks, Pauline Thomas, Shirley McCormack, Margaret Smith and Lorraine Penny of New Zealand and the Fairbanks Knitters Guild of Alaska. Over the past three years given us hundreds of beautiful hand made garments to warm the Nepalese children in winter. A huge heart felt thank you must be sent out in recognition of the countless hours these ladies have spent knitting childrens garments for us. As we travel to and from Nepal we send bags of these garments to Kathmandu then distribute them to those who need them the most in the villages as we work on our projects. We give them to the medical clinics to pass on to the young mothers, we give them to our trekking staff to take back to their villages to hand out and we give them to the schools we help to give them to the poorer children's families. These are treasured items for the children and will most likely be passed down the generations. Thank you very much ladies for your continued hard work. The smiles on the mothers and children are priceless and it is very heart warming to see how bright it makes their day. You are true stars in our eyes. Greater Chicago Food Depository. 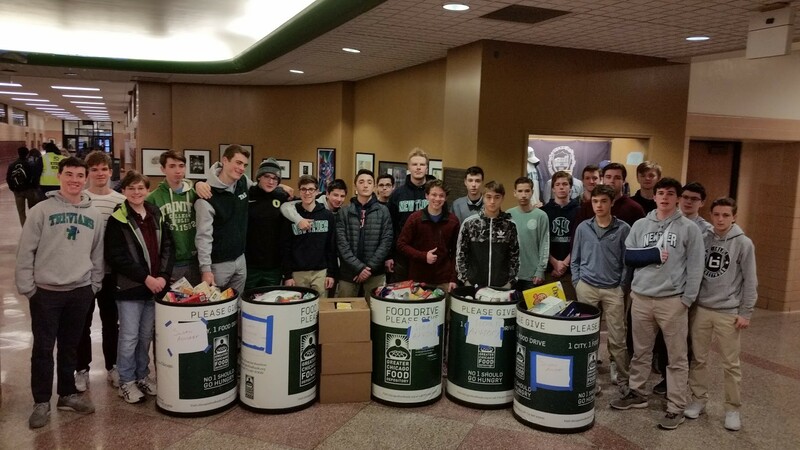 The Advisery brought in close to 1500 lbs of food by themselves. team! Matt is a teacher at New Trier High School and the mastermind behind The Sloan Advisory. 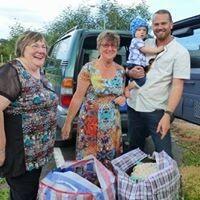 community and the world through fundraisers and projects. Thank you guys for your selfless work, you are awesome!! a fundraiser during the second half of October to benefit the Active Hearts Foundation library projects. ahead as well as purchase and/or upgrade resources in the libraries. or homerooms where we start our day together. humanity.” © also aligns with the great work being done by Active Hearts and our fundraiser. Our good friend Jim Jones and the Nepal International Beer Fest continue to be major supporters. We thank you Jim and the team for all the good stuff you do! Including introducing us to some very tasty beverages!